The Fort Lauderdale and Wilton Manors area is undergoing another construction boom and is becoming home to a diverse number of people from across the country and around the world because it is a cosmopolitan place to live in; in fact, Fort Lauderdale was named a ‘Best City for LGBT seniors’. From A1A to Wilton Drive, people love to enjoy the lively downtown areas but more and more innocent pedestrians are being injured as they go about their daily business or while enjoying a good time on the weekend. 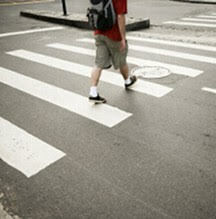 For example, some areas of Wilton Manors do not have designated crosswalks for pedestrians. A man coming out of a local bar on Wilton Drive was recently badly injured in a vehicular accident. The man sadly passed away. 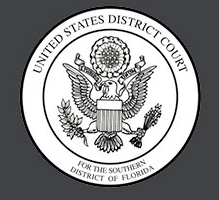 It is clear to attorney Joseph Wagoner, PA that the people of Fort Lauderdale and Wilton Manors need someone on their side when accidents happen because while life is unpredictable, you should be able to rely on the justice system to serve you should you suffer bodily injury as a pedestrian through no fault of your own. As an attorney, Mr. Wagoner understands the intricate Florida laws involved with pedestrian injury accidents. It should be noted that Florida recently passed new laws regarding pedestrians. Mr. Wagoner wants his clients to know that these laws have granted many entities access to details of an accident, which means more scrutiny on the pedestrian. Entities like insurance companies and investigators now have access to the entire report under Florida Statute 316.130. This makes it a lot easier for insurance investigators to attempt to deny a particular claim, which is the reason why an injured victim of this type of accident needs help more than ever. A lawyer can ensure that certain facts are established before conclusions are made regarding an incident. This could include the type of road where the accident happened and whether or not the driver violated the Duty of Care. Circumstances regarding the accident must also be evaluated before conclusions can be made final. One of the circumstances that could have a major impact on the case is whether or not there was any construction happening that might have contributed to the accident. Finding answers to these types of questions is what Mr. Wagoner does best, which helps him build a good case on behalf of his clients. So if you have been injured while walking down the street, crossing an intersection, walking on the sidewalk, in a parking lot or near a construction site and needs someone to seek justice for you, count on attorney Joe Wagoner. Call 954-626-0727 in the Wilton Manors / Fort Lauderdale area for a complimentary consultation.